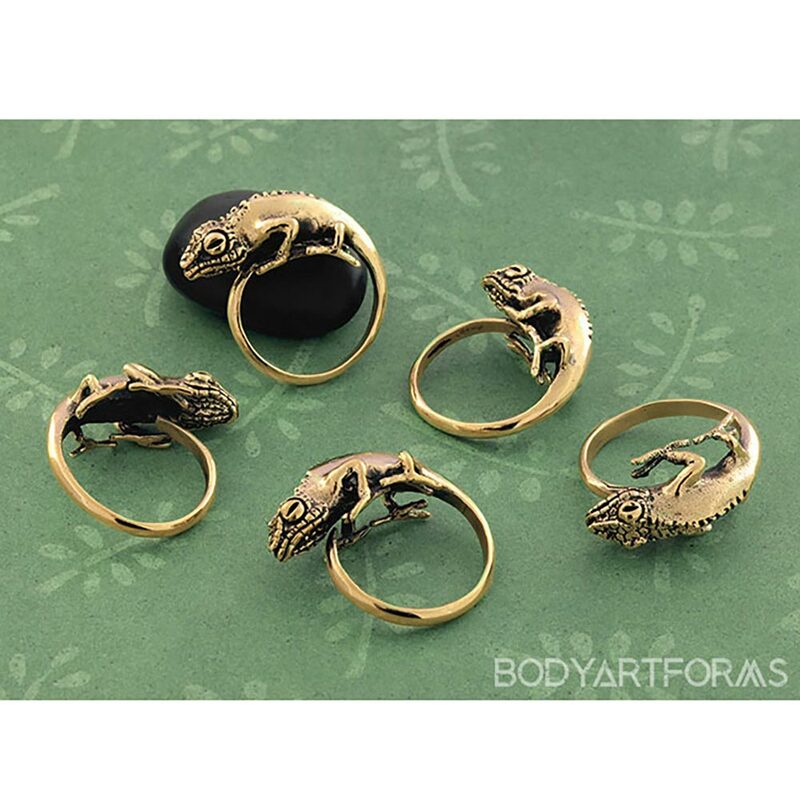 We're absolutely delighted by these adorable chameleon rings! Made of brass and adjustable, these are perfect for adorning one - or all- of your fingers! The chameleon has a length of 1-1/8", a width of 1/2" and a rise of 3/8"
Best suited for ring sizes 6 and larger due to the length of the tail.